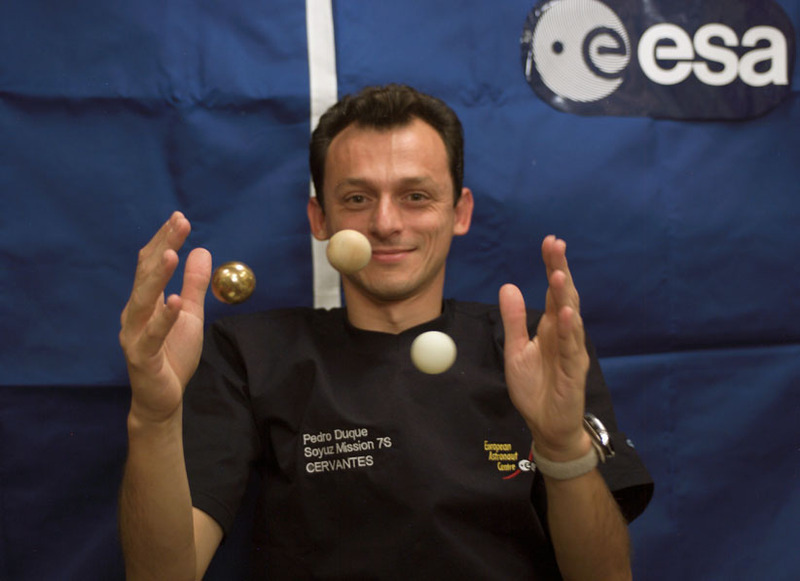 Pedro Duque is a widely-known European Astronaut. He was the first Spaniard to fly to space, and he did it twice: he flew in the Space Shuttle Discovery for the STS-95 mission as a Mission Specialist. He also flew in the Soyuz-TMA for the Spanish “Cervantes” mission as a flight engineer. Other than working as an astronaut, he has carried out many tasks at ESA: he has worked on orbital mechanics, supported the Module Projects division of the Directorate of Manned Spaceflight and Microgravity, and is now Head of the Flights Operations Office of ESA’s Astronaut Corps. He also led the company Deimos Imaging during 6 years. A full resume of his extensive career can be seen here. We at TechForSpace were lucky enough to have some of our questions answered by him, with topics ranging from the psychology of space flight to energy sources and space debris. What disciplines are going to be most relevant in the future of space exploration, that weren’t as relevant before? As before, we’ll need engineers who are experts in lightweight structures, radiation-resistant electronics, high-pressure and high-temperature hydraulics, material chemistry, fuel chemistry, and countless other disciplines that have reached their highest standards of precision for their use in space. In the future, nuclear energy experts will be needed much more. We will need to generate nuclear energy with light and reliable devices, and will need to be able to generate and handle high-speed plasma. And, naturally, we need a source of scientific knowledge which engineers can draw on – in other words, basic scientific research in all these relevant areas. For all those people who are already motivated about space travel: What could a twenty something year old student do, if he wanted to work in the space industry in his own area of knowledge (be it Physics, Chemistry, Engineering, Biology, Medicine, Psychology…)? Other than his own studies, what other activities should he get involved with? Generally speaking, all areas of science and engineering can have an application in space travel. What’s important is to always focus on maximum efficiency and reliability, to always think how to do something in a better way – even if this is unnecessary for an earthly application. You have repeatedly said that to be an astronaut, one needs to, above all “have a lot of psychological endurance, lots of patience and tranquility”. Considering the Mars500 experiment, do you believe that this could be one of the most important axes of development in space travel in the near future? I am in favour of not pretending to demand more out of these studies than what they are able to deliver, since they are psychology-oriented experiments where the effects of forced social isolation are studied. Astronauts have to use the bulk of their patience during the preparation and standby phases. The problems one may encounter during a spaceflight are not so much caused by isolation, but rather by distance itself – the need to manage by oneself, and that cannot be properly simulated on Earth. It wouldn’t be ethical to isolate people and leave them in this solitude to their own fate. When (or how) will space travel become “normal”, as “normal” as air or sea travel are today? Travelling by plane has become so normal because we have achieved such an overwhelming level of security that most people feel safe inside an airplane. But still, it isn’t a complete “norm”, because we can only endure it for a few hours. Boat travel also feeds on this sensation of security. In this case, we can tolerate it for days or even weeks if the boat is prepared to simulate a normal life onboard – but for this, it has to be very, very big. In 1968, Stanley Kubrick presented a space station design where humans could lead a normal life – and the same happened with its lunar base. This is still the objective. You have lately worked on projects related to mitigating space debris. Recently, a new concept was proposed, using the previously gathered space debris as fuel for an ablation engine. How feasible is this idea? There are two distinct problems related to uncontrolled objects in space: the first one is the “garbage” generated by humans, and the other one is the millions of asteroids that still remain from the time planets formed. For this second problem, it is conceivable to create spacecraft that will dock with objects and use their matter as propellant. Without a doubt, this is possible if large amounts of energy are available. What new methods and technologies will be developed in the space debris field in the coming years? For the “garbage”, we have very powerful radar systems, property of the armies of the traditional space military powers – the USA and Russia. There is an ambitious European project aimed at providing us with the same capabilities. These systems can only detect, but not eliminate, the problem. I enjoy seeing that new ideas for eliminating space debris are being proposed as of late. Some of them will surely be implemented, such as using nets, harpoons, and so on. Of most importance is getting to fly in formation with the object, which requires good precision and large amounts of energy. For the asteroids problem (which is much less likely, but far more harmful), it is necessary to have surveillance telescopes located in the appropriate orbits, and not only look from Earth. For example, the 5th of March object (Editor’s note: this is asteroid 2013 TX68, and the full history can be read here) was detected, but its trajectory couldn’t be calculated accurately for a lack of proper means. These means should be deployed as soon as possible, whether it’s ESA, NASA or whoever. And in the case we detect something dangerous, evidently we must develop and test object diversion systems. The concept was already studied in 2004 – by the way, called “Don Quijote” because of the Spanish authors of the study! Neil DeGrasse Tyson once jokingly said that,If he could just get the leaders of China to leak a memo to the West regarding plans to build military bases on the planet Mars, “the US would freak out and we’d all just build spacecraft and be there in 10 months: 1 month for building the spacecraft, 9 for getting to Mars”. To what extent could current commercial interest in space exploration replace (or surpass) the national/military interests of the sixties? Public investment in space is profitable. This is more than proven. The state defines a set of scientific or exploration challenges to the industry, and they work on them. Along this path, they develop new knowledge, technology and methods that make them much more competitive, but not only for selling space-related products. The whole industry benefits from what is invented for space. Therefore, the rivalry between states still exists, this time for the competitivity of their industries. Evidently, if a state dramatically increases the challenges to its industry, other states will be concerned with them falling behind… It’s healthy competition. Lately, human missions to Mars are a hot topic. 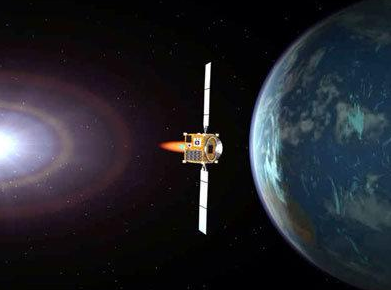 Electric propulsion is likely imperative for such a trip, but it requires considerable power. What energy sources could be developed for interplanetary travel? What could be the impact of these developments on Earth, with a civilization fundamentally based on energy consumption? In the ever-ascending path of electric power, the solar panels that we use in space are getting bigger and more efficient. The idea of generating immense amounts of solar power and then transporting it to Earth for distribution is currently being seriously considered, and it could become operational. The ISS solar panels and other future developments for interplanetary travel could be the technological seed to that leap.